our goal is not to reconstruct your golf swing, but more importantly to improve the swing you already have. I believe each person's golf swing is a unique motion, and requires a great deal of individual attention. For this reason, we structure our golf instruction with a ratio of three students to each professional. By controlling class and group lesson size, we give you the opportunity to receive plenty of personal attention. We want to be sure you understand the changes you need to make to become the best golfer you can be. Our instructors are Class "A" PGA Golf Teaching professionals with knowledge and understanding of what needs to happen within the motion of a golf swing. This information will be presented and explained to you in the simplest form. 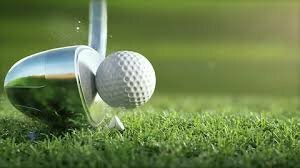 We will make sure you are clear in not only grasping, but practicing what you need to work on to build your skills and enjoy the game of golf to your fullest potential. Our goal is not to reconstruct your golf swing, but more importantly to improve the swing you already have. We will spend a great deal of time working on your swing and your short game areas. The skills you will learn in all areas of the game are sure to make you a more complete and effective golfer.